Incredibly lightweight at a mere 250g, the base of the C13 is constructed entirely of a carbon fibre monocoque structure for maximum weight saving. Combined with a vulcanised rubber base, the C13 offers the best in comfort and weight saving. Now available in 3 widths with a carved cut out for additional perineal pressure relief. This is an amazingly comfortable saddle. It's also very well made, looks superb and a bit unusual. It may not be the lightest but it's nearly so and I'll take comfort over a few grammes over a hundred miles on most days. Other riders will comment on it. One of the rivets on holding the rear of the saddle's hammock has 'C13' embossed at a jaunty and, apparently, random angle. When the saddle's fitted and you're about to get on the bike, the 'C13' lines up perfectly with your line of sight. That's attention to detail. I've very carefully built up my best cycle to the best specification that I can afford over a couple of years and this saddle is an important part of the whole. 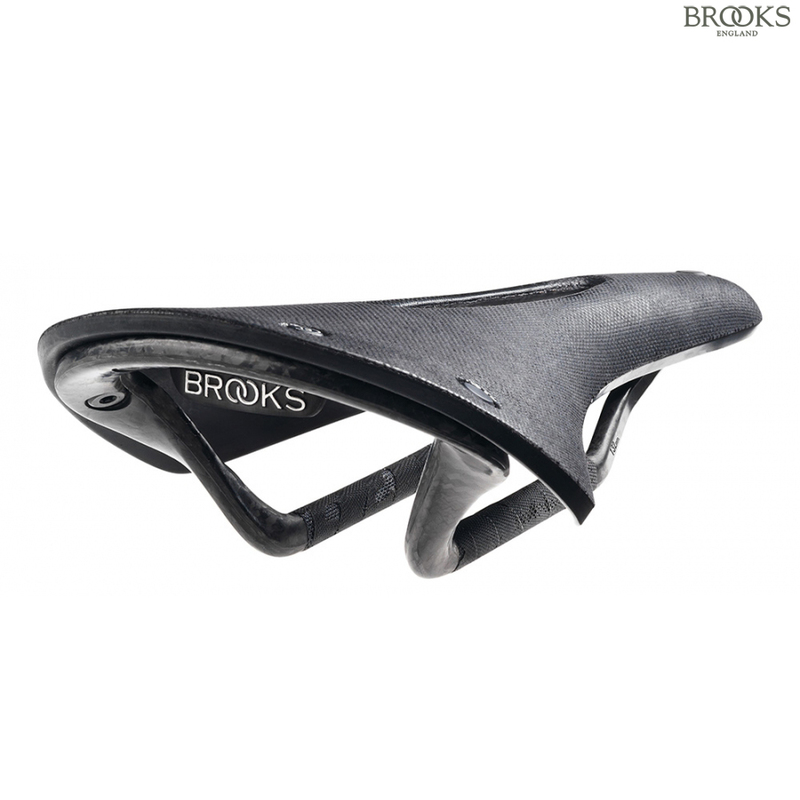 We would recommend visiting a Brooks stockist who may have test saddles/can order test saddles. Does this saddle have oval rails? If so, I presume adaptor needed to fit Thorn seatpost?? Details?? Yes these saddle has oval carbon rails, most seatposts that clamp vertically, including the Thorn one, should be fine. Horizontally clamping posts, unless designed to work with the taller rails, will not be suitable. Also be sure to check the clamp is free from sharp edges that could damage the carbon.